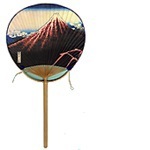 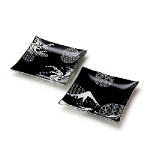 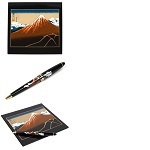 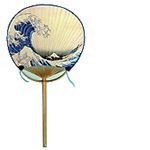 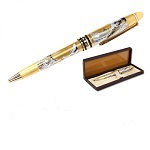 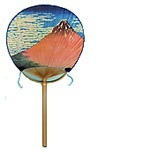 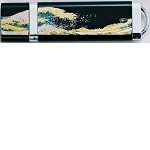 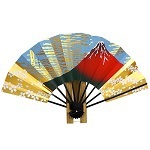 A mouse pad oad Boll-point pen "Rainstorm Beneath the Summit"
Maki-e USB Flash Memory(4GB) "The Great Wave off the Coast of Kanagawa"
Traditional Maki-e Ball-point Pen "The Great Wave off Kanagawa"
Desk Clocks "Rainstorm Beneath the Summit"
Decorative Fans "A Mild Breeze on a Fine Day"
Marugame-Round Fans "Rainstom Beneath the Summit"
Marugame-Round Fans "A Mild Breeze on a Fuji Day"
Marugame-Round Fans "The Great Wave of the Coast of Kanagawa"
Reproduced Woodblock Print-A Tour of the Waterfalls of the Provinces "The Kannon of the Kiyo Waterfall at Sakanoshita on the Tokaido Road" Tokyo traditional woodcut craft cooperatives certified. 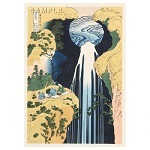 Reproduced Woodblock Prinr-A Tour of the Waterfalls of the provinces "The Amida Falls in the Far Reaches of the Kisokaido Road" Tokyo traditional woodcut craft cooperatives certified. 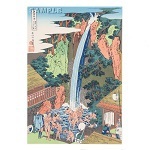 Reproduced Woodblock Print-A Tour of the Waterfalls of the Provinces "The Roben Falls at Oyama in Sagami Province" Tokyo traditional woodcut craft cooperatives certified. 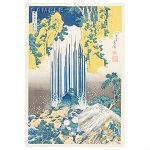 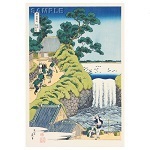 Reproduced Woodblock Print-A Tour of the Waterfalls of the Provinces"The Waterfall at Ono Kisokaido Road" Tokyo traditional woodcut craft cooperatives certified. 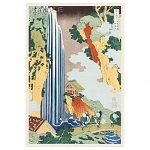 Reproduced Woodblock Print-A Tour of the Waterfalls of the Provinces "Yoshitune`s Horse-washing Falls at Yoshino in Yamato Province"
Reproduced Woodblock Print-A Tour of the Waterfalls of the Provinces "The Falls at Aoigaoka in the Eastern Capital" Tokyo traditional woodcut craft cooperatives certified. 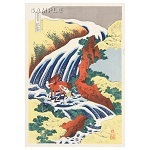 Reproduced Woodblock Print-A Tour of the Waterfalls of the Provinces "The Yoro Falls in Mino Province" Tokyo traditional woodcut craft cooperatives certified. 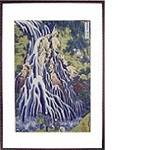 Reproduced Woodbloks Print-A Tour of the Waterfalls of the Provinces "The Kirifuri Waterfall at Mount Kurokami in Shimotsuke Province" Tokyo traditional woodcut craft cooperatives certified. 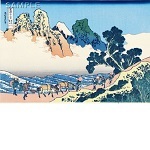 Reproduced Woodblock Print-Thirty-six Views of Mount Fuji "Inume Pass in Kai Province" Tokyo traditional woodcut craft cooperatives certified. 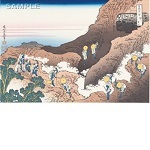 Reproduced Woodblock Print-Thirty-six Views of Mount Fuji "Nakahara in Sagami Province" Tokyo traditional woodcut craft cooperatives certified. 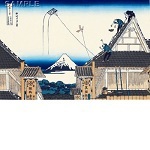 reproduced Woodblock Print-thirty-six Views of Mount Fuji "Climbing The Mountain" Tokyo traditional woodcut craft cooperatives certified. 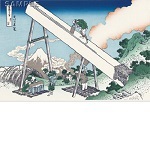 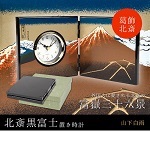 Reproduced Woodblock Print-Thirty-six Views of Mount Fuji "The Round Cushion Pine at Aoyama" Tokyo traditional woodcut craft cooperatives certified. 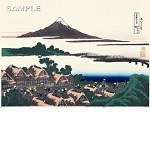 Reproduced Woodblock Print-thirty-six Views of Mount Fuji "Mt Fuji Seen from the Pleasure Quarter at Senju" Tokyo traditional woodcut craft cooperatives certified. 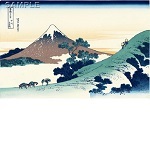 Reproduced Woodblock Print-thirty-six Views of Mount Fuji "Dawn at Izawa in Kai Province" Tokyo traditional woodcut craft cooperatives certified. 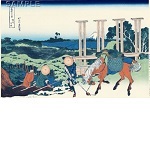 Reproduced Woodblock Print-thirty-six Views of Mount Fuji "The New Field at Oono in Suruga Province" Tokyo traditional woodcut craft cooperatives certified. 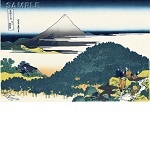 Reproduced Woodblock Print-thirty-six Views of Mount Fuji "Senju in Musashi Province" Tokyo traditional woodcut craft cooperatives certified. 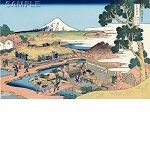 Reproduced Woodblock Print-Thirty-six Views of Mount Fuji "Tea plantation at Katakura in Suruga Province" Tokyo traditional woodcut craft cooperatives certified. 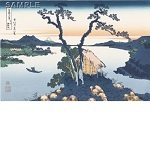 Reproduced Woodblock Print-Thirty-six Views of Mount Fuji "Lake Suwa in Sinano Province" Tokyo traditional woodcut craft cooperatives certified. 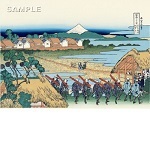 Reproduced Woodblock Print-Thirty-six Views of Mount Fuji "The Village of Sekiya by Sumida River" Tokyo traditional woodcut craft cooperatives certified. 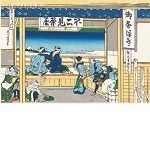 Reproduced Woodblock Print-Thirty-six Views of Mount Fuji "Mitsui`s Store at Suruga-cho in Edo" Tokyo traditional woodcut craft cooperatives certified. 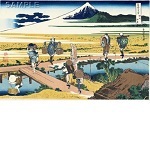 Reproduced Woodblock Print-Thirty -six Views of Mount Fuji "The Back of Mt Fuji Seen from Minobu River" Tokyo traditional woodcut craft cooperatives certified. 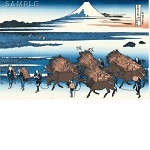 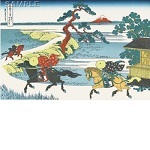 Reproduced Woodblock Print-Thirty-six Views of Mount Fuji "Yoshida on the Tokaido Highway" Tokyo traditional woodcut craft cooperatives certified. 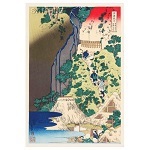 Reproduced Woodblock Print-Thirty-six Views of Mount Fuji "In the Mountains of Totomi Province" Tokyo traditional woodcut craft cooperatives certified.